Selling silver is not that straight forward as it seems. You have the white metal in your hands be it a coins, bars, sterling, or just some scrap silver, but how do you get the best price possible? 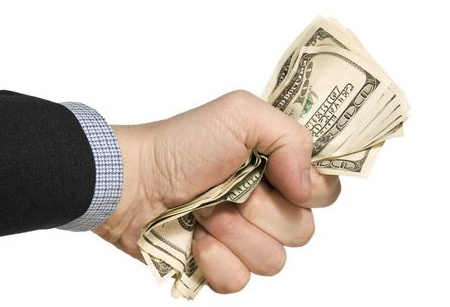 And what’s the fastest way to get the cash in your hands without getting scammed? These are just a few questions we hope to answer in the post below. We all stack silver for various reasons. I’d like to think most of you though see silver as an insurance against all the crazy FIAT being printed around the world and to protect yourself against the coming crash. When I first started investing in silver, the immediate question that came to mind was “how to sell silver for cash or money when I need to?” Granted my thinking has changed as silver is money and the whole point was to exchange dollars for silver. Before you rush to sell, you first need to determine what you have and how much it may be worth. The day you sell, you will want to be armed with the spot price of silver. You can check the top right of this site for the spot price or just go to kitco.com to verify. This will give you how much people are buying or selling at that time. Next take inventory and identify the type of silver. Bullion coins come from government mints as .999 fine silver and will usually sell at a premium to the spot price of silver. For example, when you buy American Silver Eagles, they typically come $2-$3 over spot. But when you sell back to the dealer it may only hold a $1 – $1.50 premium over spot. This type of silver is also .999 fine silver but will not carry as high as premium as bullion coins. For the most part this will probably sell for spot or melt value. Melt value being if you have 10 ounces of silver, you will get only 10 ounces of the spot price of silver. This is a loosely named term for US coins issued before 1965 that contain 90% silver. Dimes, quarters, half-dollars, and dollars all fall into this category. Expect melt value or just below melt value for this type of silver. This silver is great for preppers. Sterling silver is an alloy of silver containing 92.5% silver with 7.5% of some other metal such as copper. It has a long history in many countries being used as dishware or cutlery. It can be identified with a 925 mark or trademark somewhere on the metal. 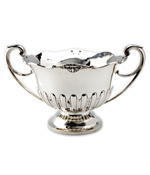 Unless it is a rare antique or vintage sterling item, you can probably expect just melt value for this type of silver. If you have a slabbed or graded coin or was handed a coin collection from your grandparents, estate etc … you may have some valuable rare or numismatic coins in your possession. These can sell at a very high premium depending on the rarity, quality, age, and strike of the coin. You will want to get these appraised by 2-3 professionals first before you attempt to sell. If you believe you have a true rarity, submit it to PCGS, which is the standard Professional Coin Grading Service in the states. These guys will professionally grade your coin for a fee. This will let you know what kind of price you can expect if you have no idea and armed with this you can command a much higher price when you’re ready to sell. Now it’s time to find out where to sell silver coins for cash! Below are 8 options that you have to do this, while not exhaustive, they should be sufficient to get money in your pocket. The list is in no particular order. Local coin dealers are the way to go if you live near one. These shops are a fast and convenient way to sell your silver coins. You can expect a decent price for your silver depending on how honest the shop owner is. Look for coin shops who have been in the business for awhile and didn’t open just last month! It’s always smart to be on friendly terms with your local coin shop as they can also alert you when certain types of silver come in you’re looking for especially if you’re a coin collector. We’re building a national directory of coin dealers, so please leave a profile or get in touch if you want to get listed. Quick Tip: Avoid Fridays when selling, coin dealers trying to make profits by flipping may not like holding their coins over the weekend when price can be volatile. This is especially true with selling gold coins. 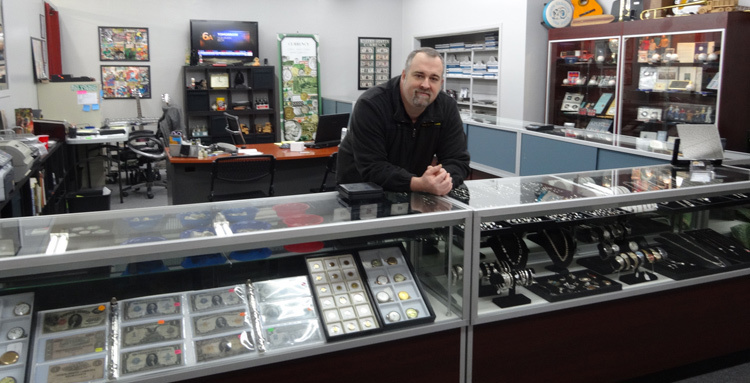 While pawn shops have always gotten somewhat of a bad rap because of their lending practices, they do have a place in the precious metals world. It’s hard to say if there are more coin dealers or pawnbrokers, in the US there an estimated 12,000 pawn shops in operation. More than just buying and selling precious metals, pawn brokers also buy, sell, & ‘pawn’ all sorts of items not just coins and bullion. 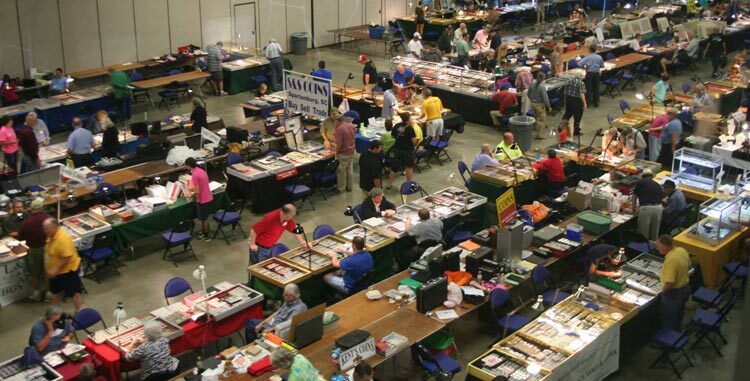 Coin shows are a fun and great place to browse collectible coins and bullion products. Depending on the size of the show, you can have anywhere from 30-40 to over 100 different coin dealers all in 1 place at 1 time! Granted these shows are more for the buying silver or collectible coins and bullion from the public than selling. You will want to get several quotes from dealers before you end up selling and it maybe a starting point in getting to know some of the local dealers. You can find out when the next coin show in your area by going here. 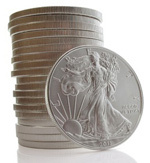 Probably the most popular way to buy & sell silver is through online dealers. There is no shortage of bullion and precious metal dealers that operate online and have silver buying programs. 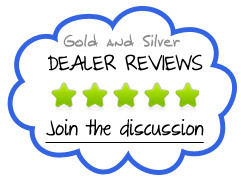 One can browse some of our bullion dealer reviews and see the positive or negative feedback received. Most of the major precious metals dealers are actively buying from the public. The biggest downside is the ‘shipping’ part, especially when its a high dollar amount, I’ve always been somewhat uneasy shipping thousands of dollars of silver or gold. If you’ve bought from an online dealer in the past, and had a good experience, first check to see if they buy back their own products. Many dealers are happy to buy back product they’ve sold in the past. Auctions are another way to sell your silver for cash. Becoming more and more popular, silver bullion, coins, and products are being sold daily with over 33,000 listings on ebay for silver coins at the time of this writing. This biggest concern about Ebay is the seller fees that will eat away at your profit margins. Standard fees are 10% and go up from there. This does not include insertion fees, upgrades, shipping costs or paypal costs which is another ~ 2%. So when you add all this together you wonder how so many people continue to buy and sell on Ebay? Well, apart from bullion products, you will find a lot of numismatic and collectible coins on the site. These coins command higher premiums and may be well worth trying to sell on Ebay. If you’re just selling a couple of standard American Silver Eagles, this may not be the best choice. You will also find a lot of good handmade or hand poured silver bars. Since these are custom made they sell much more than the melt price of silver. There are many other auction agencies online, but most of these deal more with numismatic and rare coins that sell for extremely high premiums. If you have a coin collection or rare coin you may possibly want to go this route. 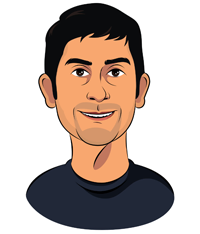 Apart from online dealers, community forums are another way to sell your silver online. If you don’t know of any then it’s probably you’re best bet to not go this route. 2 forums that are active in this area are silverstackers and reddit. Silverstackers, has a section on Buy, Sell, Swap; with Australia & New Zealand having the most active threads. Reddit has a thread PMSforSale where you can buy, sell, or trade your gold or silver with other community members. Lastly, you have the option to sell silver straight to the refiner or smelter. By selling to a smelter you are cutting out the middle man especially if it is jewelry or sterling that will be melted down for the content value. Selling to a refiner or smelter is more directed at scrap silver and less bullion coins. You will get basically melt value or possible a little under. I would suggest to do this locally as well and try to avoid shipping your silver in the mail if you’re selling to a smelter or refiner. Also lots of these businesses won’t want to mess with a small amount. If you have 5 – 10 ounces you will want to sell look elsewhere. If you’re wondering … two words, stay away! So that’s a wrap. If you have a place that you’ve sold silver that’s not listed please let the community know in the comments below! I have many coins of East Africa ,Europe ,Canada and Usa .But I don’t know where to sell it ,I am living in Kenya in my hands I Have more than 100 pieces. Please guide me for this. I’m the supplier of silver coins & I want to sell my coins on immediate cash on delivery . but dont know the procedures, terms & conditions. I have 1 ounce and 5 ounce Silver bullion Panada coins. i do have Liberty Gold coin 1795 . I have several different coins, and old paper money. I wish to sell it asap, and I don’t know where to go. Please help me. I have a lots of Liberty coins US..anyone interested…??? Dave. If I pay $13 for $1 face junk silver, how much am I paying per oz. of silver? Is there a simple factor I can use? I am trying to quickly determine the premium I am paying over spot. And what should the premium be? 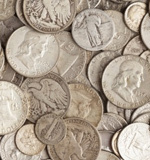 A dollar of “junk” silver contains 0.715 ounces of silver (at least when it was new it did; some people calculate it at 0.71 because it is worn). Therefore, to find the price per ounce, take the stated price for $1 face value, and divide that by 0.715 (or 0.71) to find the price per ounce. 13 / 0.715 = $18.18 per ounce. You know it! My Dad is selling his whole Silver collection. He has a 1/2 kg. silver coin from the RCM he paid $1099.00 for it. A local coin dealer said they would buy it from him for $600.00. What the hell. He is 82 years old and in the mid stages of dementia. He has roughly 150 ounces of silver in mint coins…he is happy just to get what he paid for them. I am from south africa I do have alot of old coins silver n gold etc n a whole lot of Nelson Mandela r5 coins as well. Please make me a good offer. I have a bunch of US SILVER COINS.All prior to 1965. i AM FILLING Littleton folders .I do have a bunch of duplicates I would wish to trade for non duplicates on a fair exchange basis. I dont want to have anything to do with coin dealers. I am NOT profit motivated.I can send you a list of what I have and what i am looking for. I have a 1788 U.S quarter and a 1914 Buffalo nickel I am trying to sell but dont where to sell thats at a location near me. Hi I buy mercury dimes by the standard 50 count roll. My name is Richard and live in San Diego. Are you a current or past silver coin retailer or online store owner?. If you do not have a serious amount of time invested in us silver coins it’s easy to be taken advantage of, it happened to me we I took some low mintage mercury dimes to a local dealer-After about 30 days of intense learning everything possible regarding coins ..my modest $400.0 sale should have been closer to ten grand, Yeh his shop is B.B.B.,NGC …stickers on their windows. You have my email address If you still have them Do Not attempt in any way to clean them ! The better dates are from 1916-1934, and the coins grade/condition can mean the difference of $1000 or more in the coins that have not been circulated. Enough out of me, be happy to share advise with you. This one site is very helpful and informative as a learning tool for a avoiding pit falls and seeing the correct places to best fit your selling needs. I went to a coin shop to sell my unopened roll of American Silver Eagles. Spot price for silver today was ~$18.90. The guy offered me $16. I was like WTF? These are ASEs, you don’t even offer me spot? I was offended and left. I’ve sold on Ebay before but with 13% fee + shipping, you’ll end up getting below spot. Hence, I’m done with precious metals. They’re easy to buy but hard to sell. Well not really hard to sell but you’ll most likely lose money from all the fees and low ballers. I’m selling all my precious metals and moving to Bitcoin. It’s the future and less hassle.